Tired of running up and down ladders for the right sized screwdriver? Frustrated when you cant find a bit that fits, or when they fall and scatter all over the floor? Not anymore! 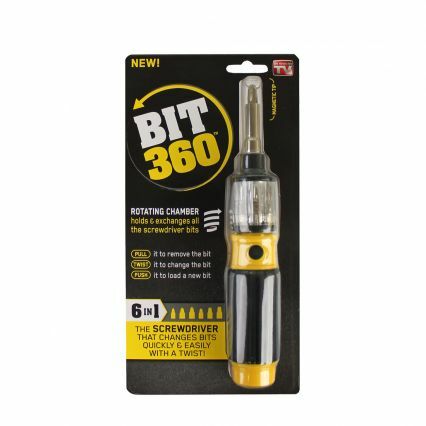 BIT 360 is the revolutionary, easy to use screwdriver that everyone should own! Changes bits easily and quickly with a twist. 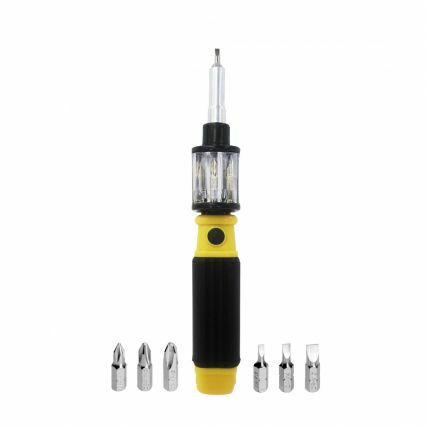 BIT 360 comes with 6 pre-loaded bits to fit virtually any screw, or add your own bits to get a grip on any job around the house, in the workshop, the garage or on the jobsite. 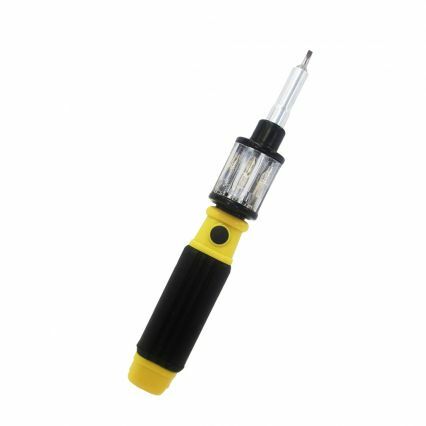 Just pull, to remove the bit from the tip holder, twist the chamber to select the desired bit, and push to load the selected bit and its ready for use!